"Will YOU join his human museum?" King of the B-movies, director Roger Corman spoofs the Beat Generation and the avant-garde art world in this horror film with darkly comic overtones. A simple restaurant worker, inspired by a cafe poet's work, decides to become a sculptor. His efforts fail until he accidentally kills a neighbor's pet and covers it in clay. Suddenly he finds himself an acclaimed sculptor; however, he is only able to keep up the deception by conducting a murderous spree to acquire new subjects for his art. 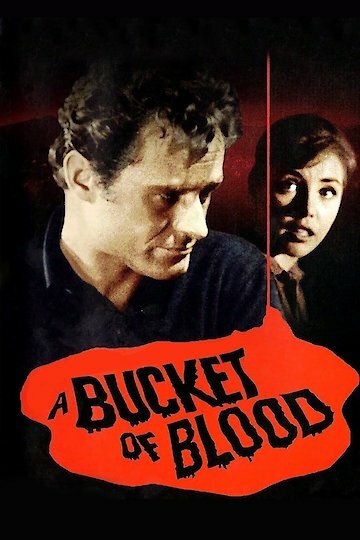 A Bucket Of Blood is currently available to watch free on Tubi TV and stream, download, buy on demand at FlixFling, EPIX, Amazon, iTunes online.